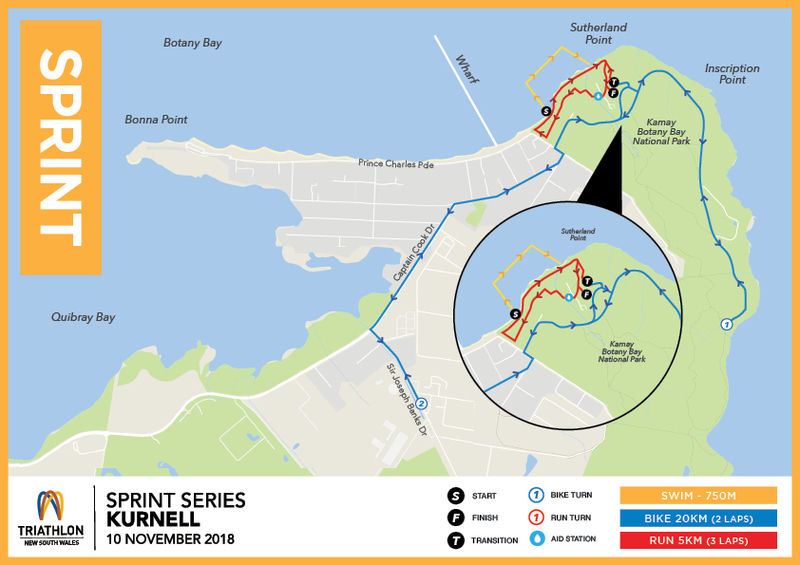 Sydney’s must do event – the Kurnell Sprint! A favourite of many legendary Aussie triathletes, you never know who you might see there. A 2 lap course which sees competitors head out to the end of Cape Solander, turning around, and then through the flats of Captain Cook Drive, left at Sir Joseph Banks Drive. 200m down this stretch will be the second sprint turn. this circuit will be completed twice. 3 laps of a circuit on grass and sealed paths around the Kamay Botany National Park, passing through the landing site of Captain Cook.